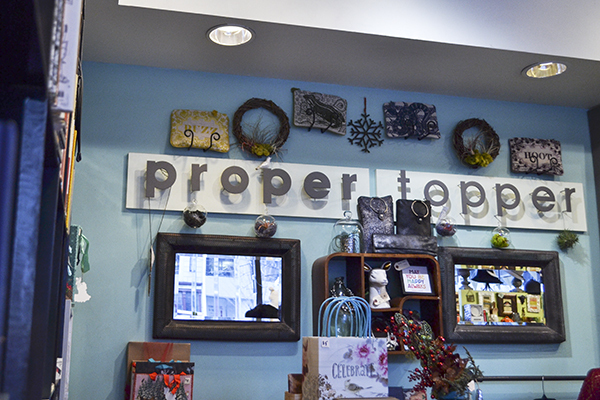 The gifts you can find at Propper Topper are more than basic. From Pinterest-perfect decorations to pumpkin spice anything, your basic friend is all about the holiday season. He or she loves personalized gifts and trinkets to wave around proudly and ‘gram, snap, and post as his or her cover photo. 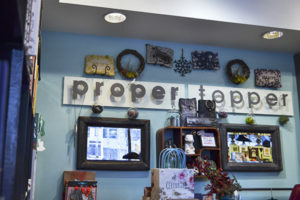 Dupont Circle boutique Proper Topper is just the place. We all have a friend that requires everyone dress up for their pre-finals holiday party, so why not make it fun? With this well-priced kit, your bestie can spice up his or her ugly sweater theme. The kit features six festive paper hats including a tiara, chef hat, a Fez, a wide-brimmed pink hat, a pirate hat and a sombrero. (Some assembly, but no glue, required). A twist on the popular collegiate coloring book, this map will fill your friend with joy as they color in sights from either London or New York. Whether he or she is looking for a stress reliever, or just wants to color, this is a great gift that will help them procrastinate for hours. The maps also come with arrow stickers. For your friend that loves gin and tonics, this kit will let your friend take that passion to the plane. To deal with the sorrow of leaving for winter break, or to celebrate on their way to visit you, this convenient, plane-friendly kit makes traveling a lot more comfortable. The tin includes a recipe card, spoon/muddler, a linen coaster and mixing ingredients for an Old Fashioned, or gin & tonic. Spirits not included.